One way to screen stocks is by buying stocks in companies you know. This method of purchasing stocks is generally limited to investors and not traders since when you buy stocks you know you are generally looking for a long term instead of a short term gain. Let's consider a golfer. 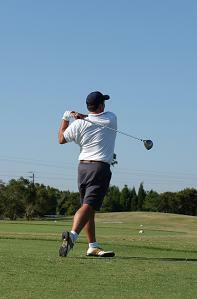 While playing one day the golfer hears that there is a new ball or golf club available that will add distance to his drive. He goes to the pro shop but they are sold out. Likely the golfer is upset. But here is the trick, does he act on this information and look into the company's stock? Perhaps he has found the next big growth stock simply by paying attention while he plays golf. People use and consume things everyday, day and night and they are all manufactured by companies. The trick is to identify a new trend before everyone else does. Is production at full scale or cut back? Are the people excited about working? Is the parking lot always full? You drive by a companies everyday. Are people working there day and night? Is the building in shambles? Your kids are interested in a new hot item, toy, clothes etc. Is it from a small company? Does it look like a good investment? Has the price of success already been factored in? However, how many companies can you have an intimate knowledge of? There are about 20,000 companies that trade in North America. It is obviously difficult to know something about them all. Investing in stocks you know is not a bad idea, but it is not the same as stock trading. Generally, when people trade stock they use technical analysis or signals from the stock market to make their buying and selling decisions. To read about other ways of buying stocks, visit our book summaries section on technical analysis.